Hi everyone! I was noticing my kids needed some extra help staying positive over the school break :-) and so I created a 30 day gratitude challenge for them. This was such a hit, I thought I ought to share it with anyone else who might find it useful. 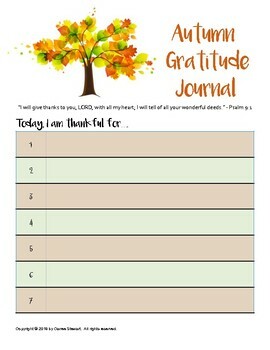 This simple daily journal gives space and encouragement for kids to write one specific thing they are thankful for each day. Over the month we check in and discuss our many blessings, and truly I noticed a shift in their mindset from complaining to grateful, which was especially a blessing as we navigated the crazy change in routine. 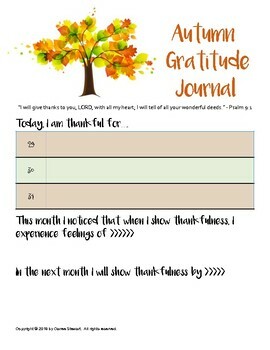 I've made one for each season and we plan to keep using them to continue cultivating habits of gratitude and positivity. This download includes a 5 page, 31 day (numbered 1-31) gratitude journal for SUMMER. There are two reflection questions at the end. ENJOY 30% ON MY DISCOUNTED BUNDLE OF ALL FOUR SEASONS GRATITUDE JOURNALS!